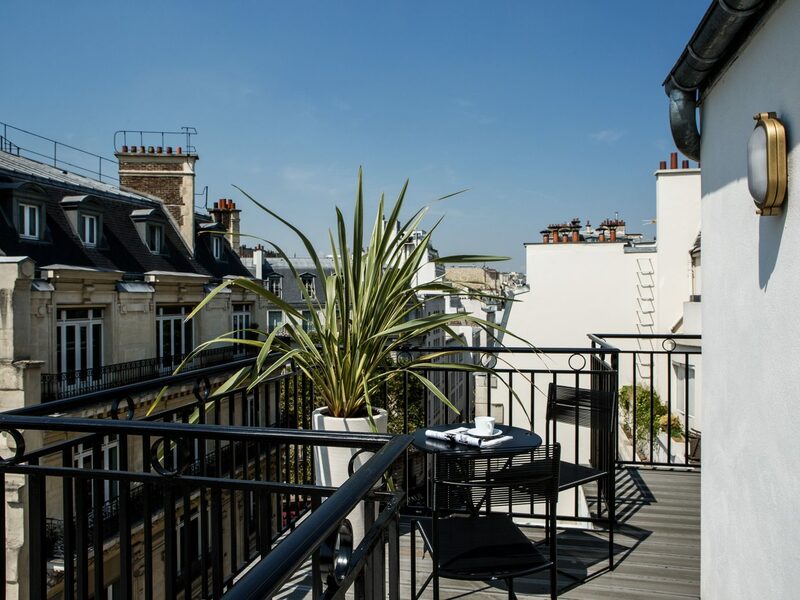 When it comes to choosing where to stay in Paris, visitors are spoiled with incredible variety—everything from five-star palaces with Louis XIV grandeur to chic, contemporary design boutiques can be found throughout its twenty arrondissements. 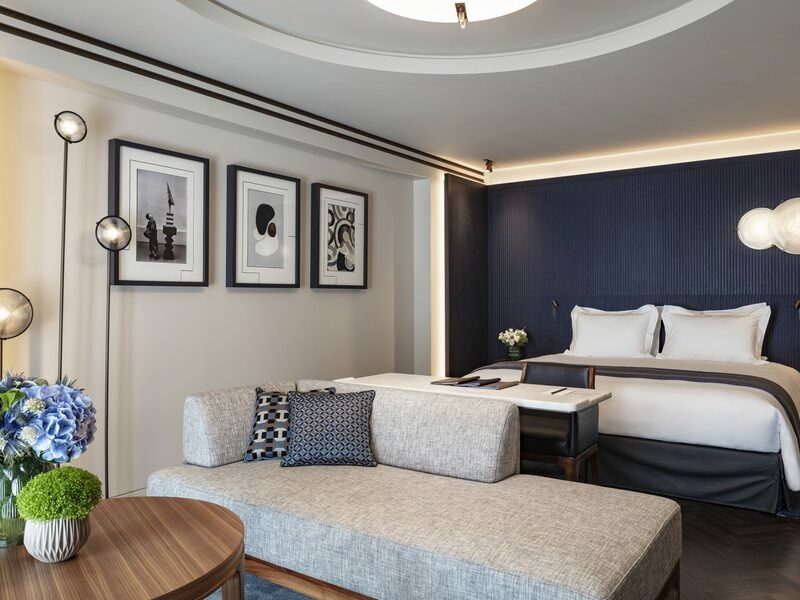 What's more, a handful of new and newly renovated hotels have been added to the long list of options in just the past year. Looking for a fresh pillow to rest your head? Here are eight of our favorite newcomers. The Experimental Group have already opened their fourth property—but we're still getting over their third. 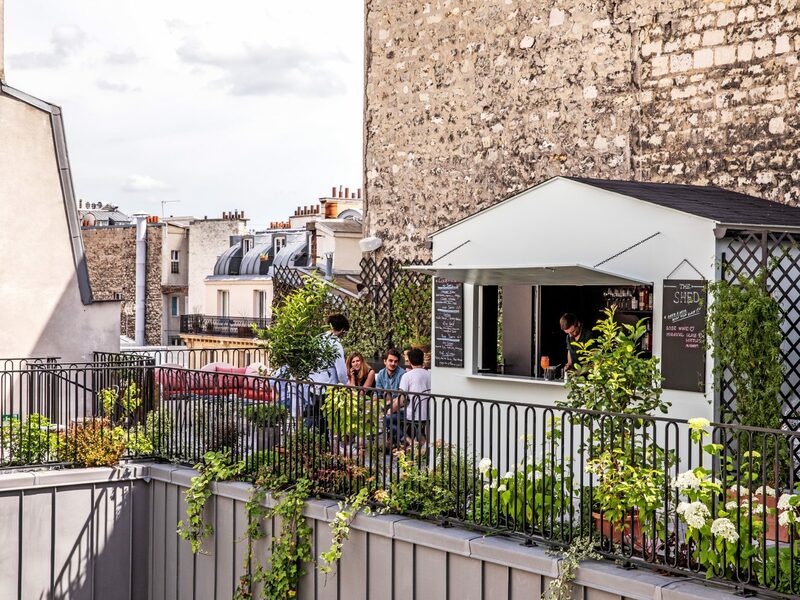 In Paris's 2nd arrondissement, among the neighborhood's best food and drink, you'll find Hotel des Grands Boulevards, a 50-room boutique that's already drawing the hip crowd thanks to its looks and libations. 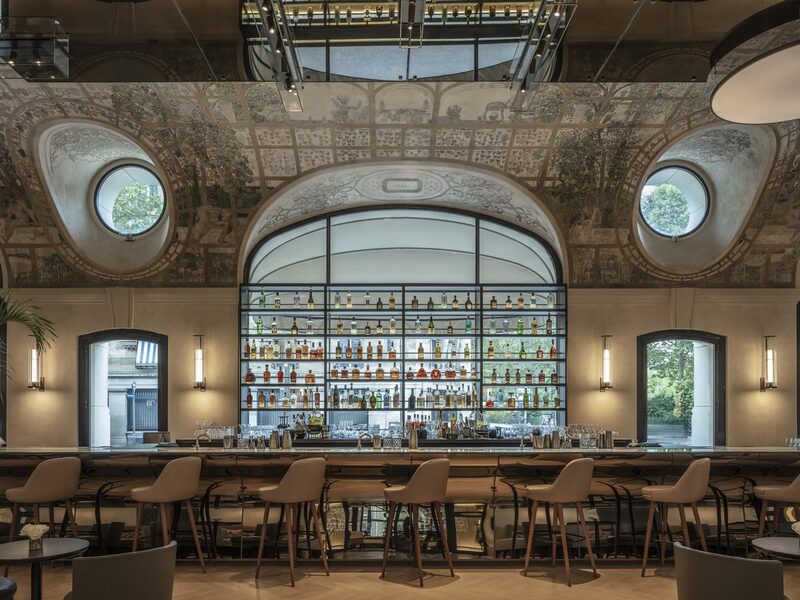 (No surprise there, given the group is the same brain behind popular Parisian cocktail bars Experimental Cocktail Club and Prescription Cocktail Club.) The brand's go-to French designer Dorothée Meilichzon looked to the eras of Louis XVI and Marie Antoinette for her French Revolution-meets-contemporary-provincial style. 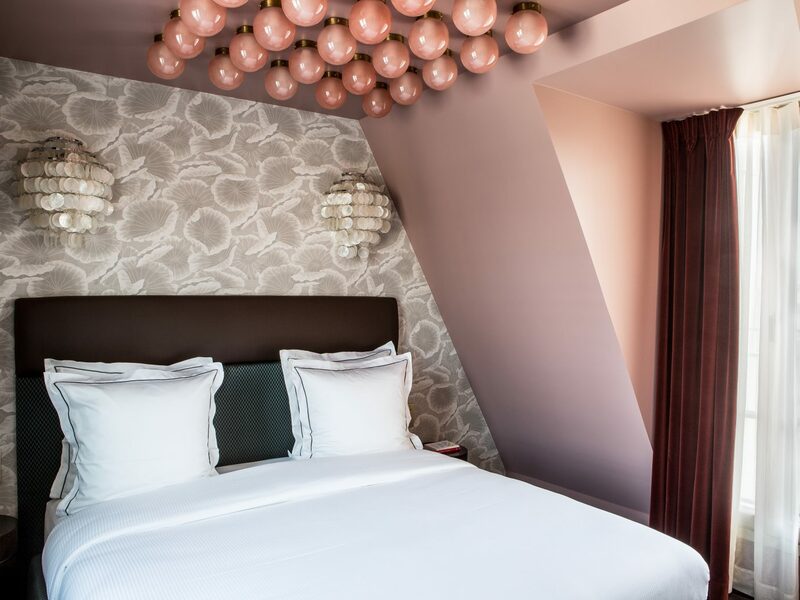 You'll find a mix of canopied beds and plush velvet furniture inside guest rooms, while public spaces (like the Franco-Italian restaurant Grand) feature rustic wood tables and stools in subdued hues of dusty rose and slate gray. 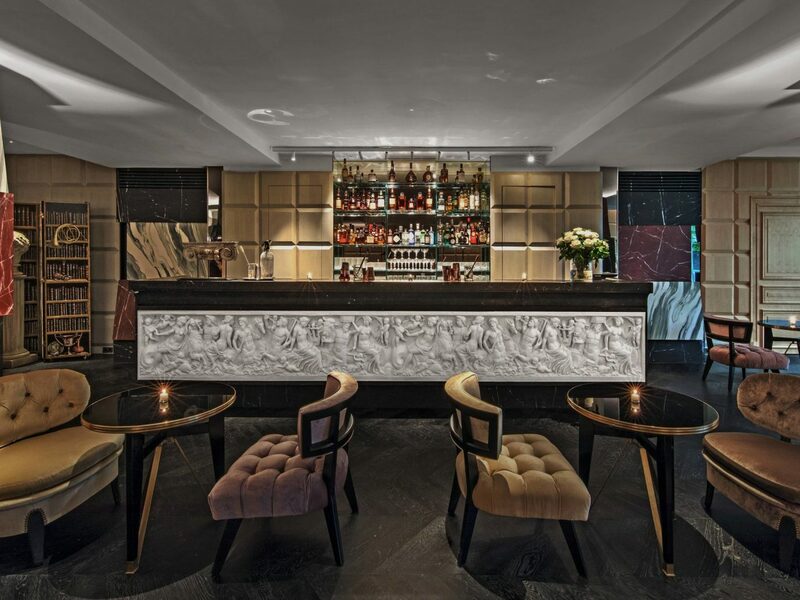 Of course, no stay would be complete without sipping on craft cocktails (and mocktails) at the posh ground-floor bar The Shell, or their rooftop number called The Shed. 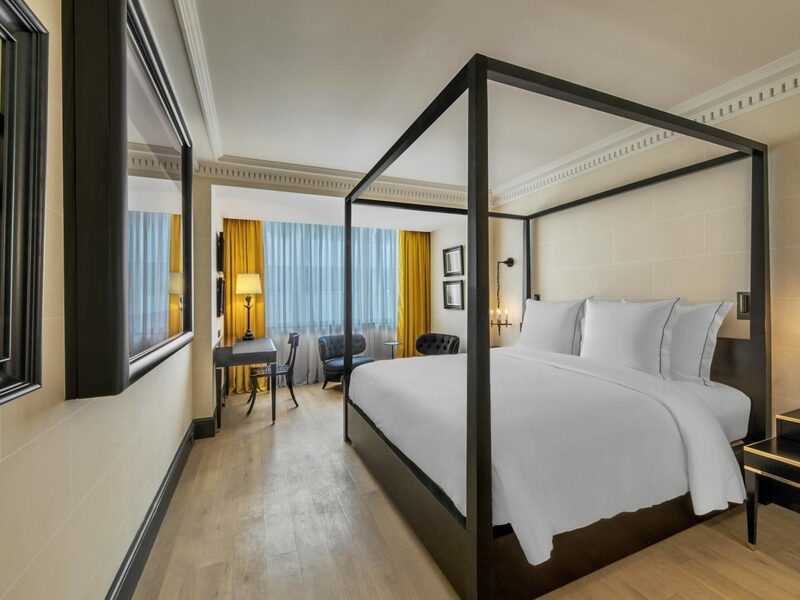 The quiet 16th arrondissement might not seem like the place for a trendy new hotel, but that's where you'll find Brach, a new Evok Hotels property (they also brough us Nolinski) designed by starchitect Philippe Starck. 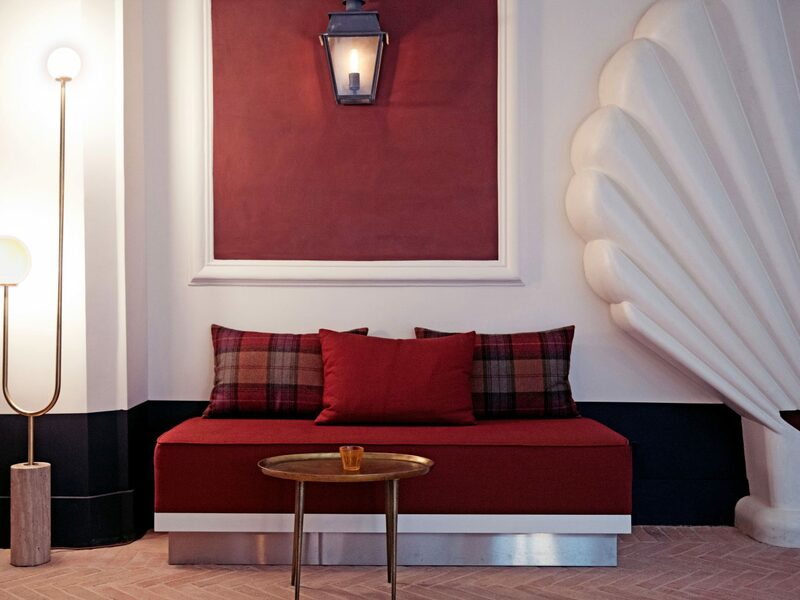 Tasked with reimagining a former post office housed in a drab 1970s building, the designer bucked all notions of grand French tradition to create a modern, funky boutique quite unlike any other in Paris. 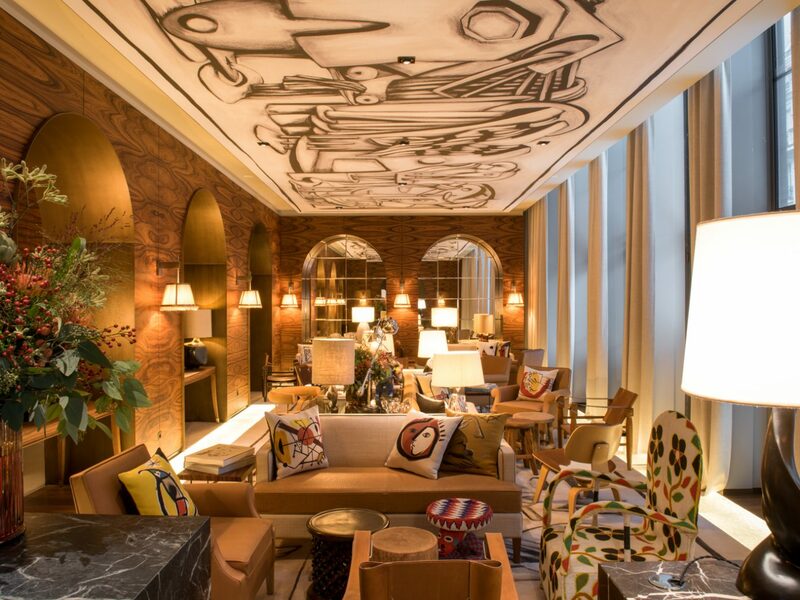 Rooms contain a touch of '70s retro chic—think wood-paneled walls and leather detailing—but, in classic Starck style, there’s still plenty of whimsy in the form of tribal statues and Surrealist and Dada prints. 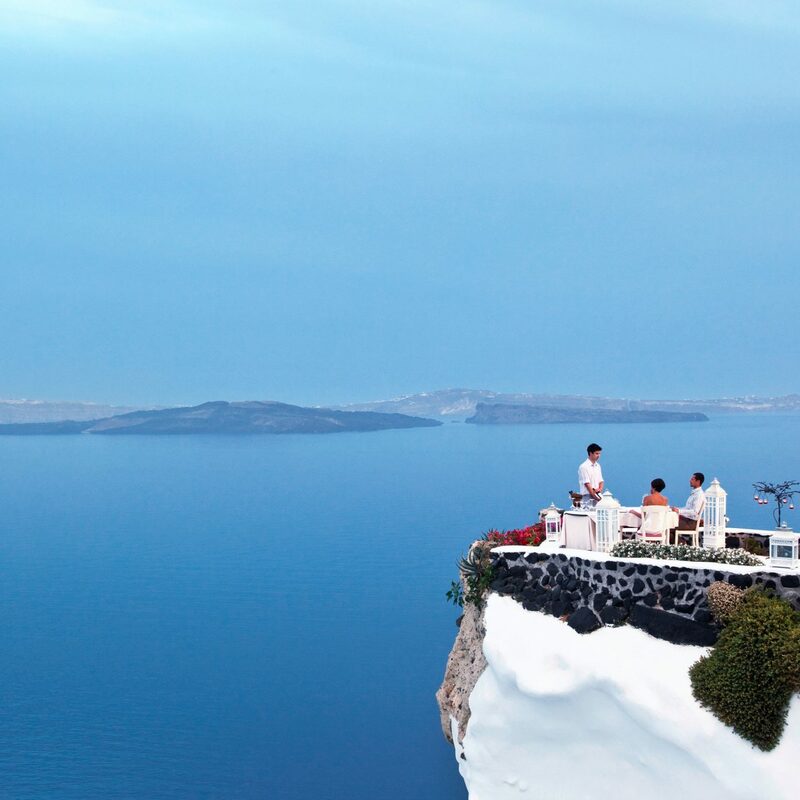 Though there are just 52 rooms, amenities are extensive and include an indoor pool, a fitness center with its own health bar, a sauna, a hammam, a Mediterranean restaurant, a cocktail bar, and even a patisserie. 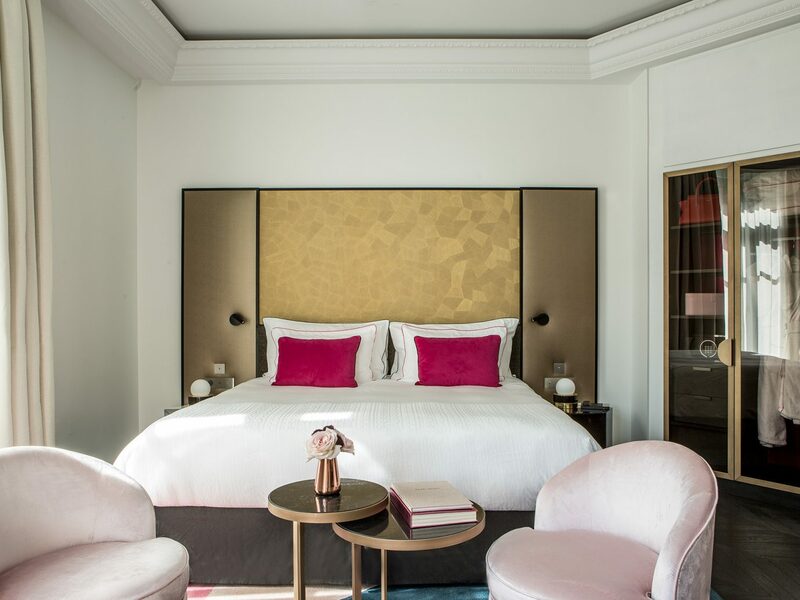 Although not technically new—Hotel Lutetia first opened in 1910—a four-year, $234 million renovation in 2018 gave this historic grande dame new life. 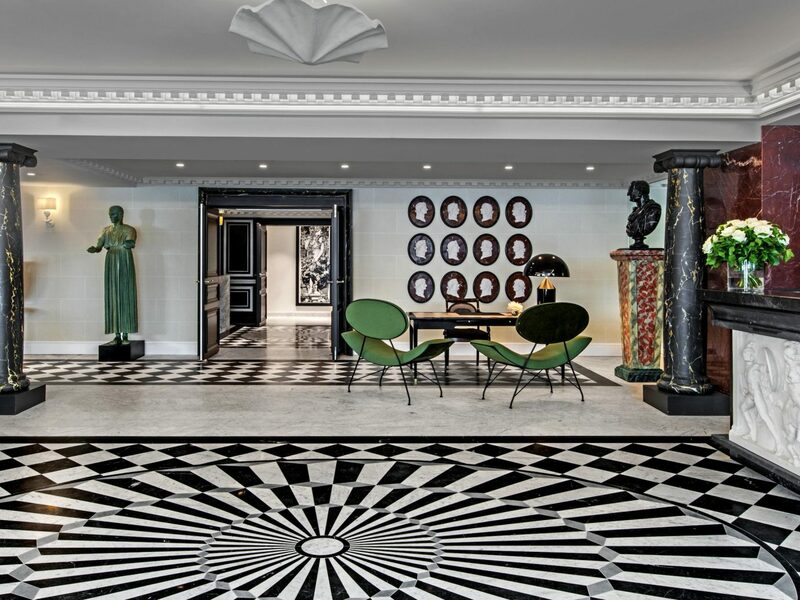 The esteemed Left Bank property was a favorite of 20th-century luminaries such as Pablo Picasso, Henri Matisse, Ernest Hemingway, Albert Camus, Josephine Baker, and Charles de Gaulle, who married his wife Yvonne on the premises in 1921. 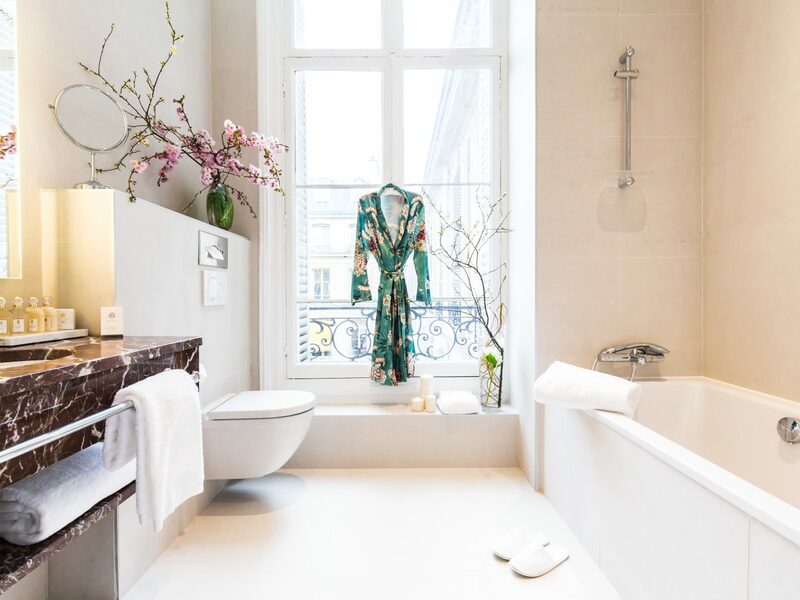 The renovation, spearheaded by French architect Jean-Michel Wilmotte, carefully retained Lutetia's Art Nouveau glamour while introducing a sense of airiness: the room count was reduced from 233 to 184 and the former salon is now a beautiful interior courtyard. 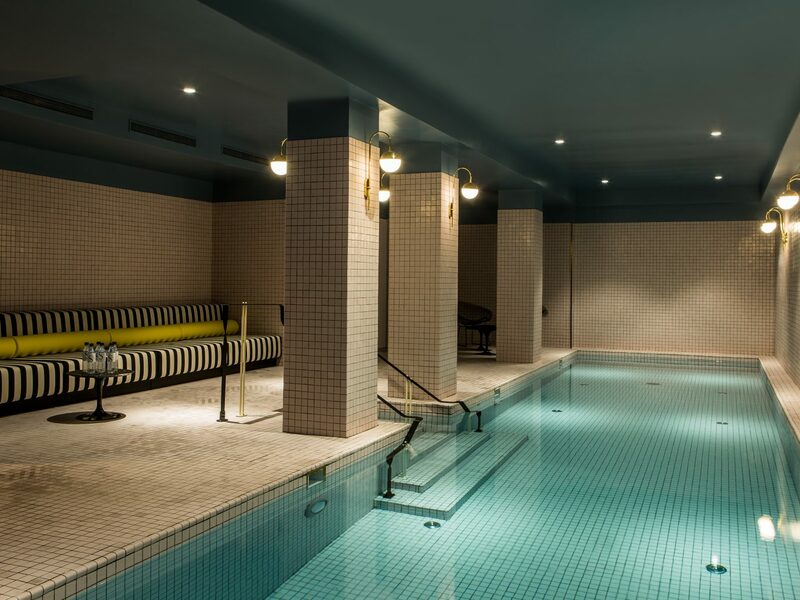 Other additions we love: new suites, an indoor pool, and a spa with a hammam. 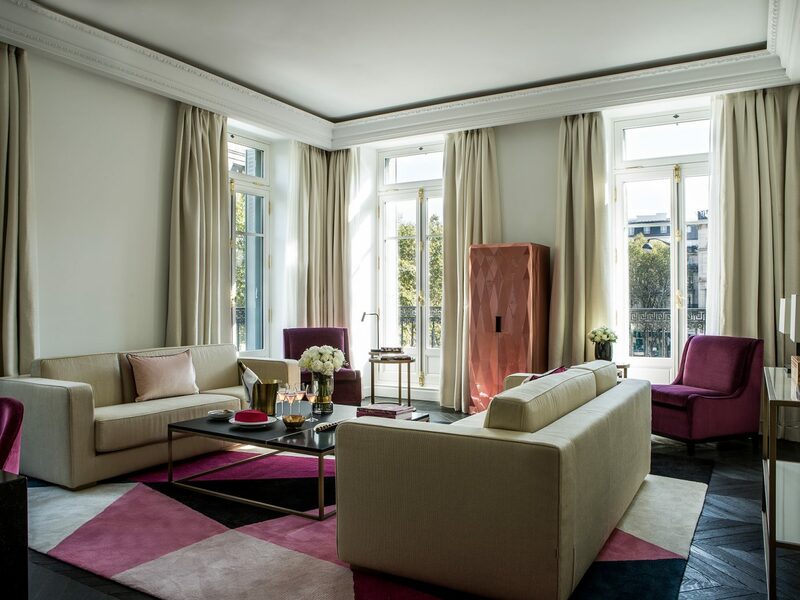 It might surprise you that the site of Hôtel de Berri, just off the Champs-Elysées, was once three 19th-century mansions that served as the homes of fashion designer Elsa Schiaparelli and Princess Mathilde Bonaparte. The glamorous residences were torn down during the 1970s and rebuilt as a singular post-modern office building. 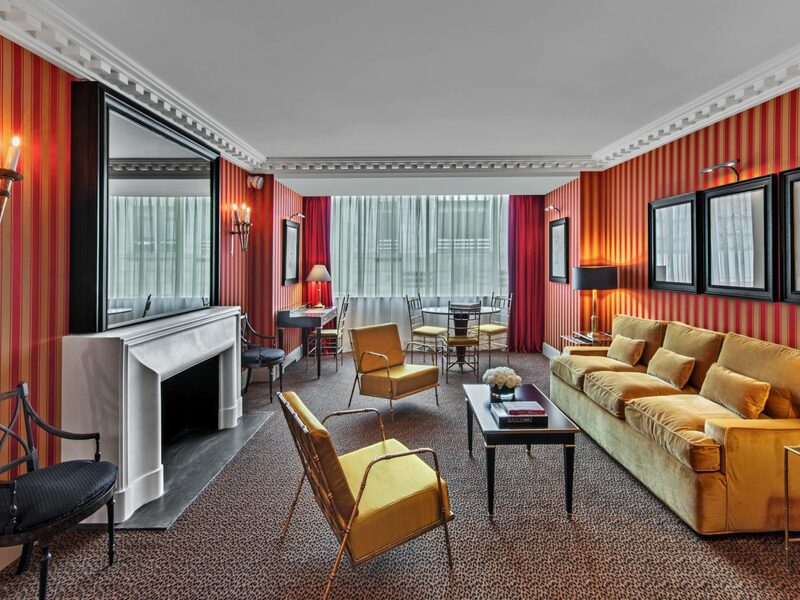 Today, the glamour returns thanks to designer Philippe Renaud, who transformed the building into a hotel that combines multiple eras of French décor in one space—you’ll find everything from neoclassical reliefs to Deco details to mod furnishings in both the 75 rooms (of which nearly half are suites) and the hotel's Italian restaurant Le Schiap. We especially love the large garden, the last vestige of the original mansion on the property. 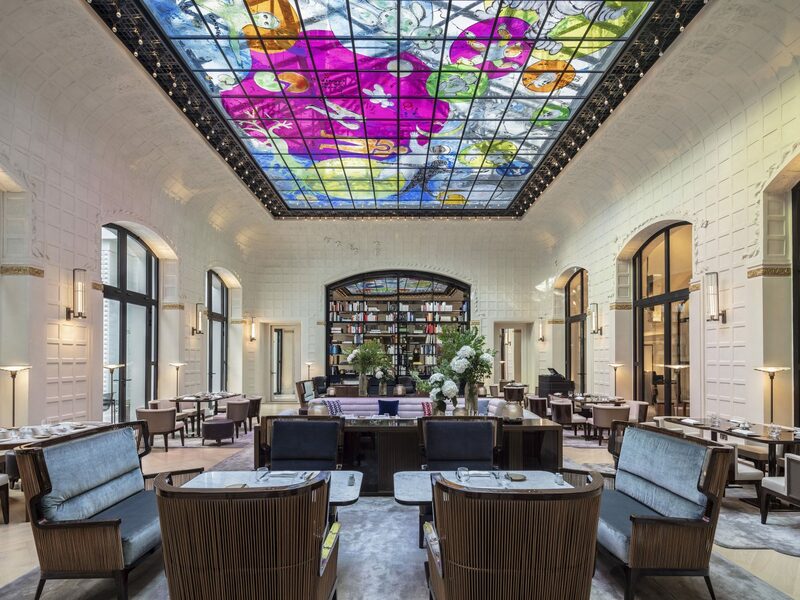 Originally opened in the late 19th century, the Art Deco details later added to L’Hôtel du Rond-Point des Champs-Elysées during the 1920s (including a period glass ceiling above the breakfast room and stunning façade) have been beautifully restored. 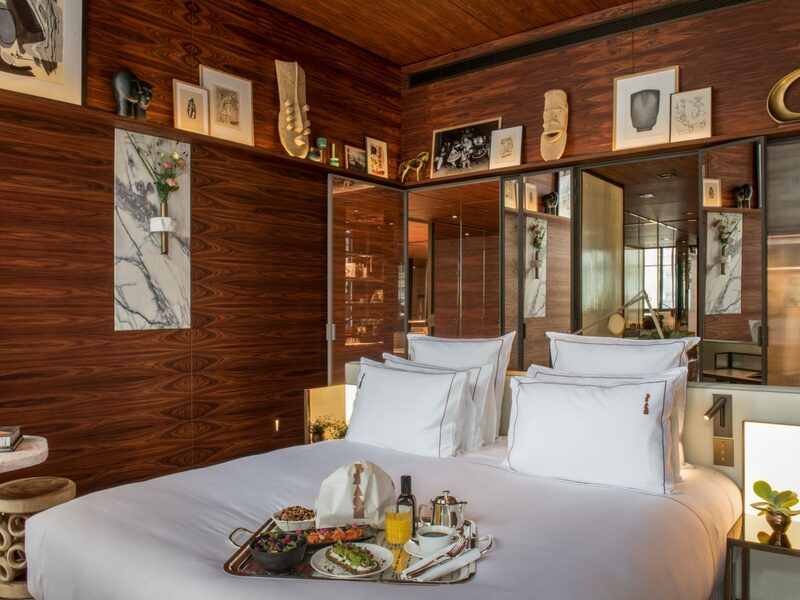 Each of the 36 rooms are equally bohemian but with added quirks like floral wallpaper, geometric carpets, leopard-print fabrics, and Bauhaus-inspired bedside lamps. 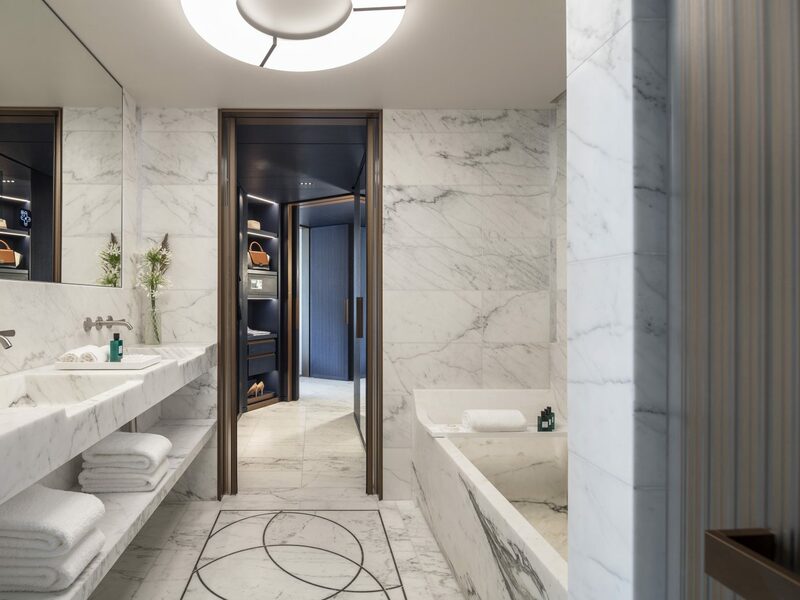 Despite its small size, the hotel has a private indoor swimming pool and hammam, a new addition during the last renovation. 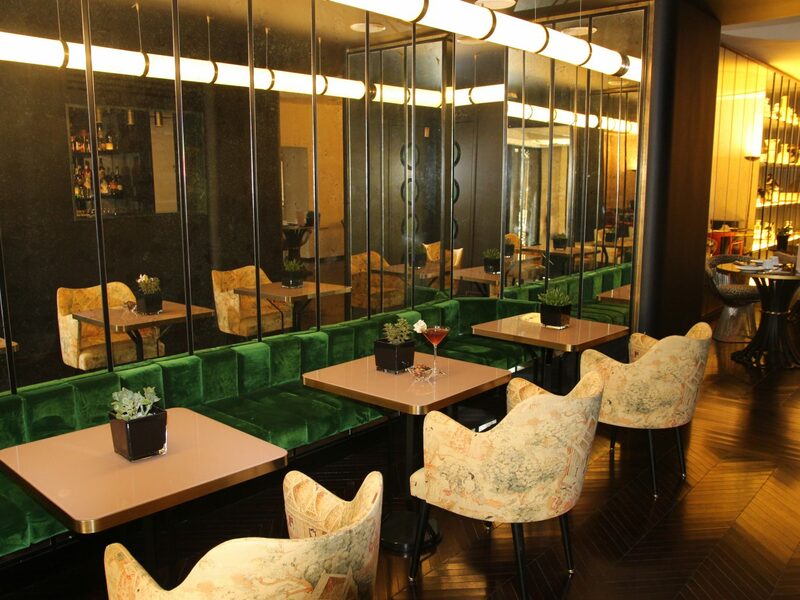 There’s also the restaurant Daphné—the perfect spot to take breakfast, afternoon tea, or dinner between strolls along Avenue Montaigne. Goodmorning from Paris ???????? 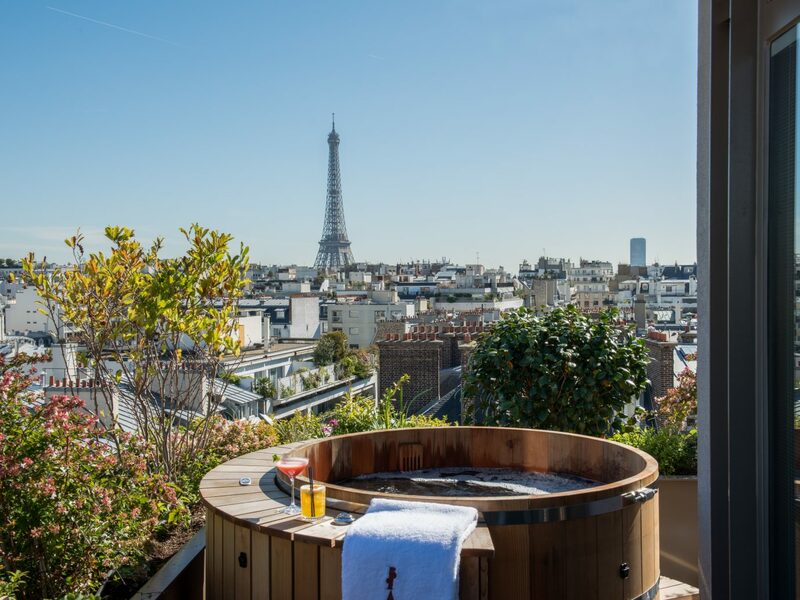 #goodmorning #saturdaymorning #breakfast #break #botanical #urbanjungle #urban #interior #paris #parisjetaime #visitparis #bestplacestogo #hoteldresscode #love #photographylife #photooftheday #happyness #igersparis #weekendtrip #lifeisgood #carpediem #restday #travel #instatraveling #france #treatyourself #citytrip #xoxo ???? 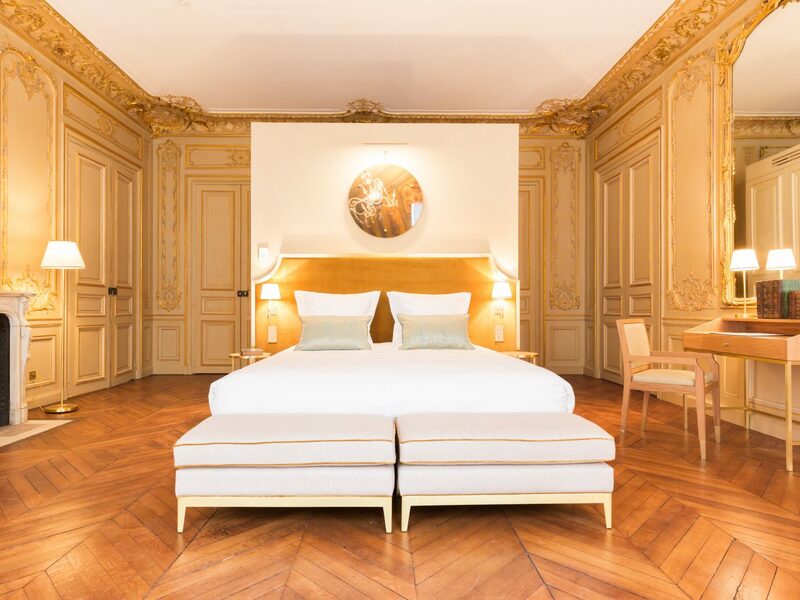 As the name suggests, it’s all about fashion at Hotel Dress Code & Spa, where French interior decorator Stéphanie Coutas modeled each of the 33 rooms after French couturiers or design movements. 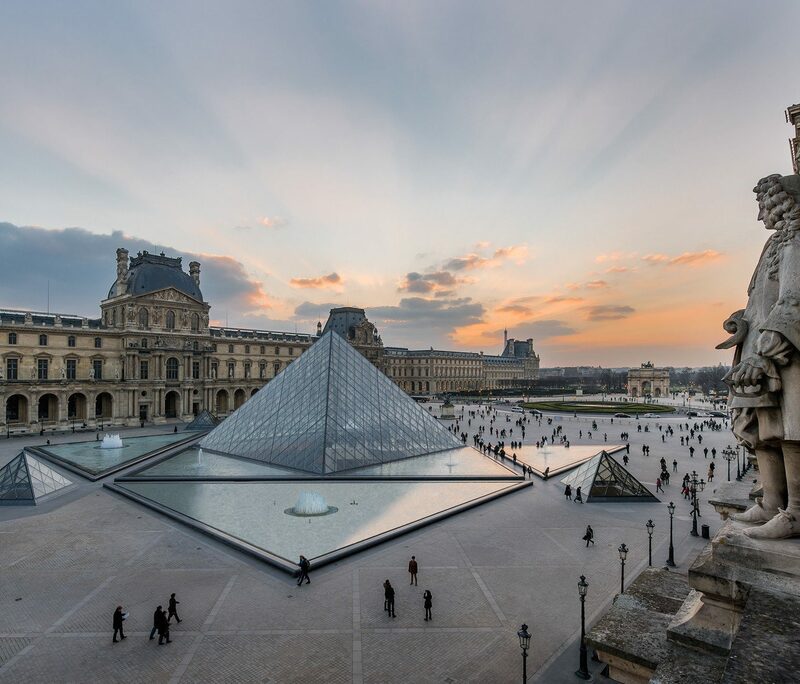 You'll see Chanel’s monochromatic palette and gold details in some accommodations, nods to Dior houndstooth or Hermès orange in others, and even design themes such as color-blocking '60s mod or nautical navy-and-white stripes. 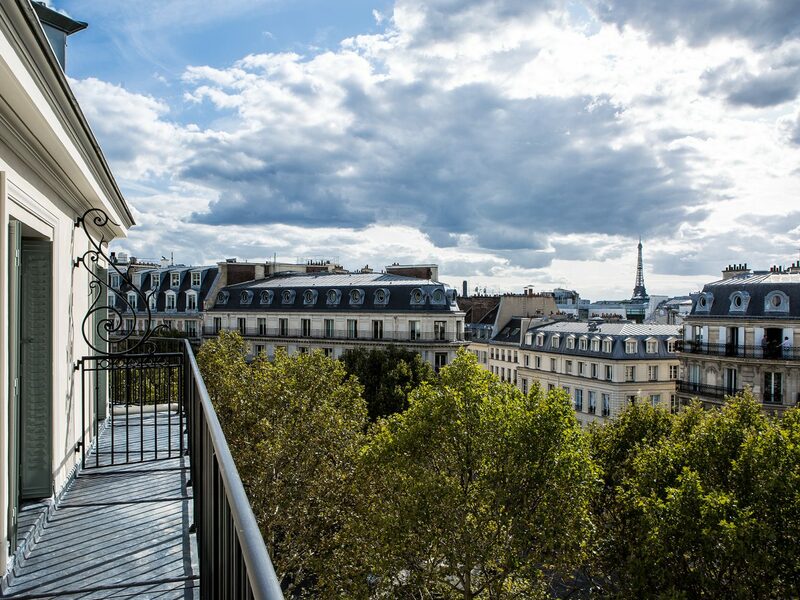 Outside your window is the 9th arrondissement, famous for its high-end boutiques including quintessential Parisian department store Galeries Lafayette. 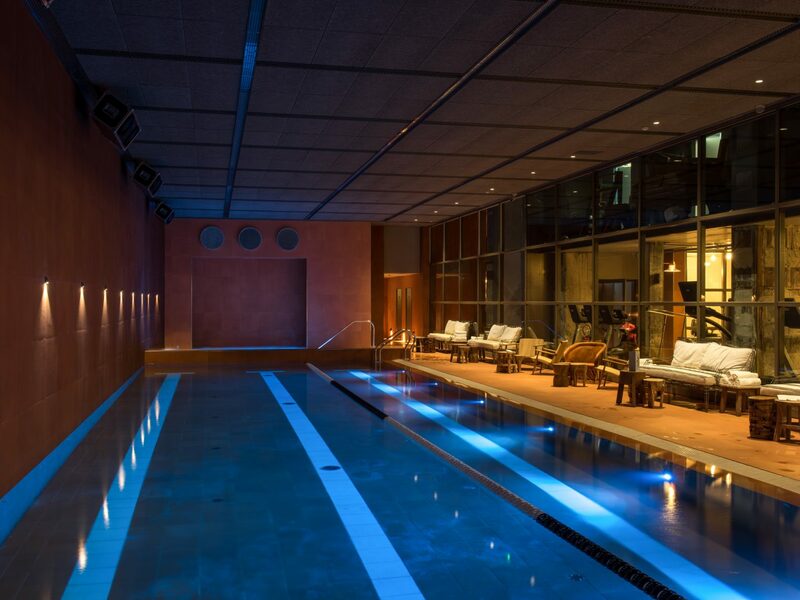 After a long day of shopping, go for a relaxing soak in the spa's mirrored pool area and hammam. 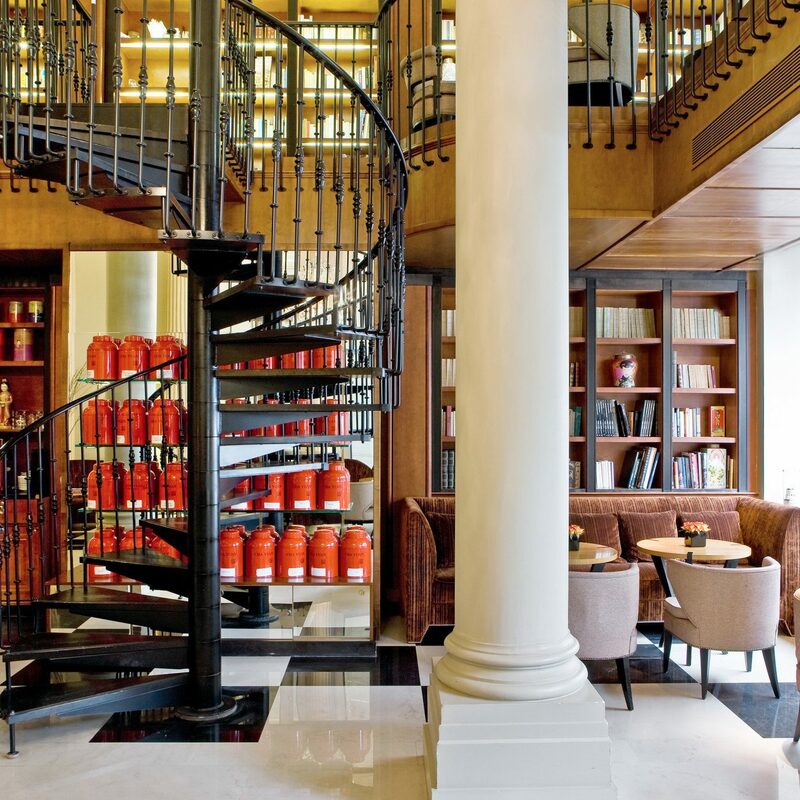 The French gourmet food empire Fauchon was established in 1886, and it took over a century before they made the jump into hospitality—helped in a big way by former Relais & Châteaux CEO Jacques-Olivier Chauvin. 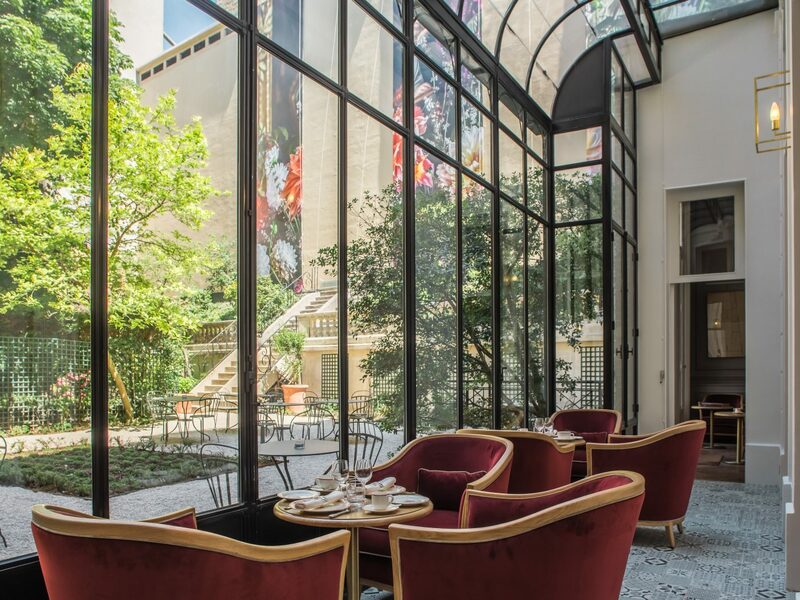 Last year, they debuted the five-star, 54-room Fauchon l’Hôtel in the 8th arrondissement where food and beverage are, naturally, the stars of the show. 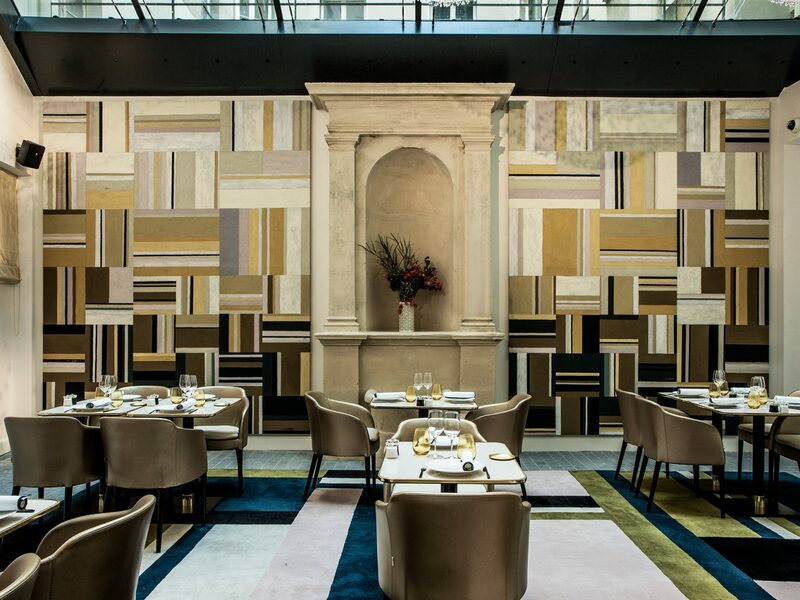 The fine-dining Grand Café Fauchon serves breakfast, Sunday brunch, afternoon tea, happy hour, dinner, and a late-night menu, while the in-room (and complimentary!) 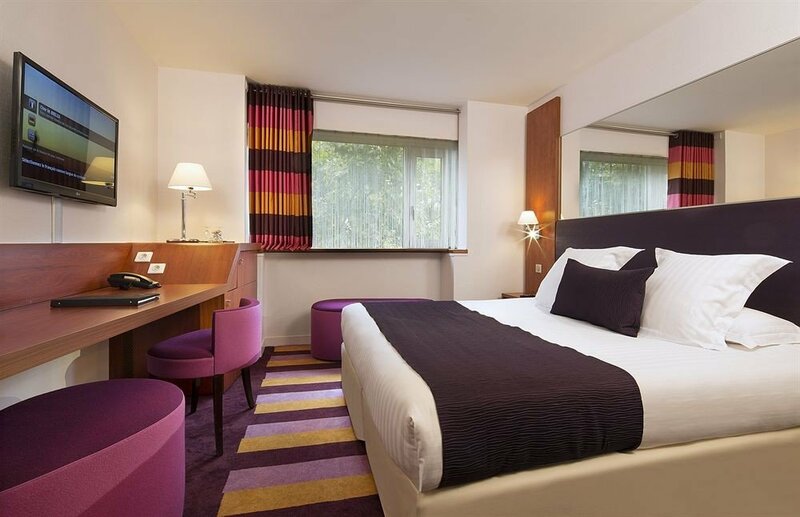 Gourmet Bars go beyond the traditional minibar with their Fauchon products. Those who want to balance out all that eating can head to the small fitness center in the basement, while the rest can opt out for a decadent massage at the Carita spa. 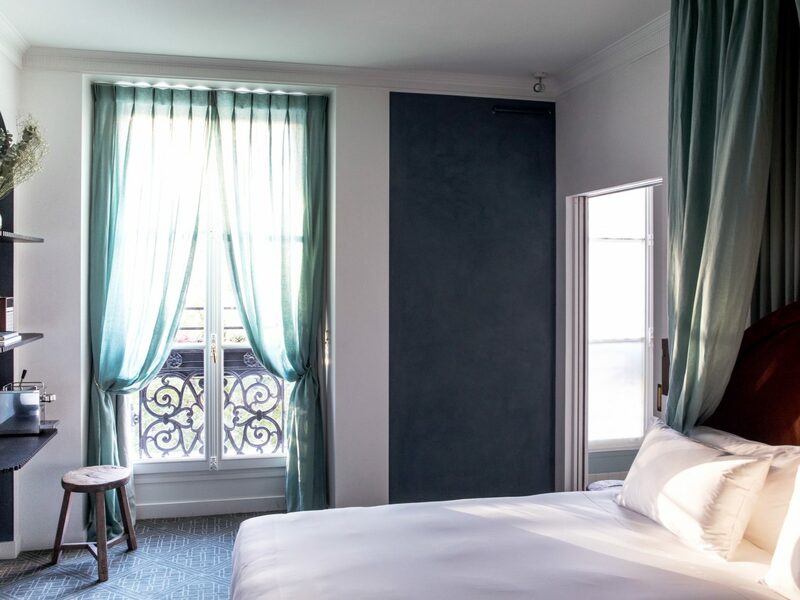 Housed in its namesake’s former 19th-century private mansion, also known as a hôtel particulier, Hotel Alfred Sommier offers guests a more private experience than some of its fellow five-star neighbors in the 8th arrondissement. Sommier, who made his money through the sugar industry, is known for his restoration of the Château de Vaux-le-Vicomte, and his home was inspired by the glamour of the aristocracy. 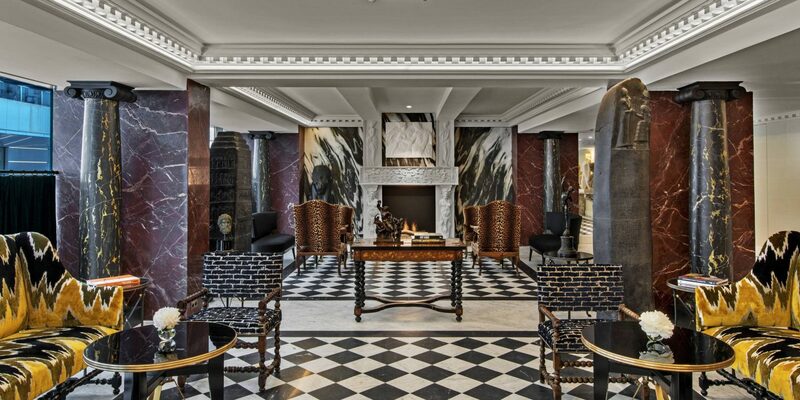 His descendant, Richard de Warren, made sure the property still feels elegant and residential with sumptuous detailing like ornamental wood-paneled walls, a grand marble staircase, and plush upholstery. 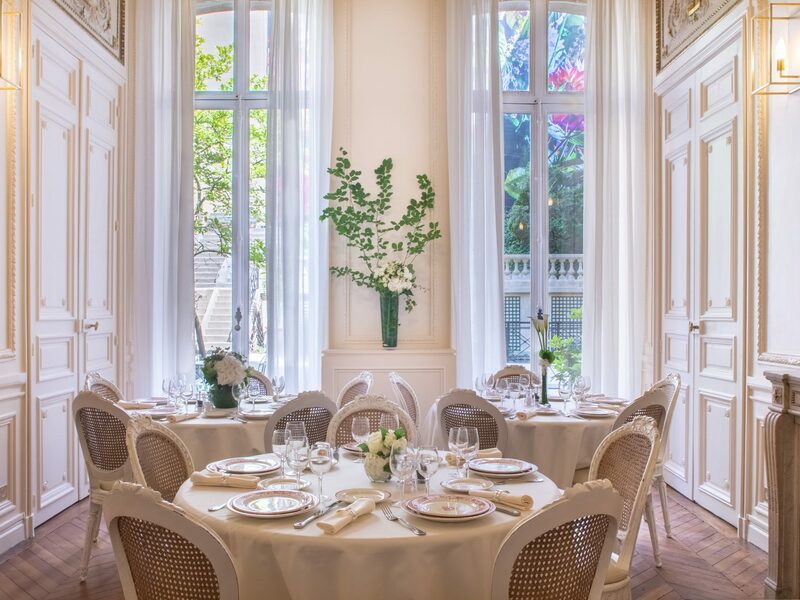 All that luxury comes to a head at the fine dining restaurant Les Caryatides, where seasonal dishes—suckling pig; monkfish; roasted scallops—are served on Gien porcelain tableware and white tablecloths beneath glowing chandeliers.